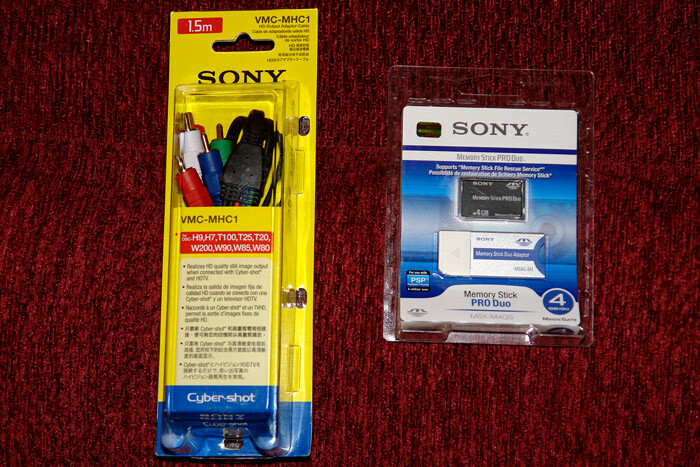 These are still removed from Sonystyle H9 Accessory page from where I bought them. There seems to be some 'construction' on their page. I beleive I will also order the UV filter and the Circular Polarizer due to the special 74mm size. Can't wait to see their price on these items. The HD Cord and MS were shipped on 3/22/2007 from Illonois. My extra battery is still on the way to me. Regarding my H9 Sony last said they will be in the warehouse on 4/11/2007 and ship soon afterwards. Nice! you got it already. may i ask does it have AE lock feature like the R1? I received ONLY my accessories, not my H9 yet, see above post. H7/H9 has no AE lock button for sure. Idownloaded the manual that you mentioned from the other thread. I didn't find the AE lock feature in the manual(icould bewrong). I was hoping there's a custom button that can be set to AE lock something. well.. if this camera is as good as they said, i can live without AEL. See the Handbook ( not the manual), Page 27, item #3. Seems AE is only via shutter button.? Exactly. we've to live without that thing. It's a pity about missing AE lock.. I've been browsing a manual too.. I use it a lot in P mode with shots in that terrible midday light.. Well.. can live without that, of course.. Waiting for on action reviews..